We know the calendar has said it’s fall for a couple of weeks now but, for us, this is where the rubber meets the road – both literally and figuratively. We’re giving away some goodies over on our Instagram feed! We don’t know everything we’re giving away yet, but we do know we’ll have some fall destination goodies, and perhaps some TravelLatte gear. Here’s the deal: Our annual autumn getaway begins on Saturday 13 October this year, but we’re not saying where we’re going. You have to guess! Up until we get on the plane, we’ll be dropping hints in fall-flavored Instagram posts. Follow us, and leave your guess in a comment to get in the running. We’ll spread some pumpkin spice lovin’ on three followers who guess correctly! It’s that simple. But you came here for The Weekly Postcard, so let’s get that show on the road! You know the drill: Use the links above to navigate through this post, or just scroll down for highlights from last week, and entries in this edition. Thanks for joining us, and enjoy The Weekly Postcard! The ancient civilizations of Mexico are as fascinating as any others, maybe more. Need proof? 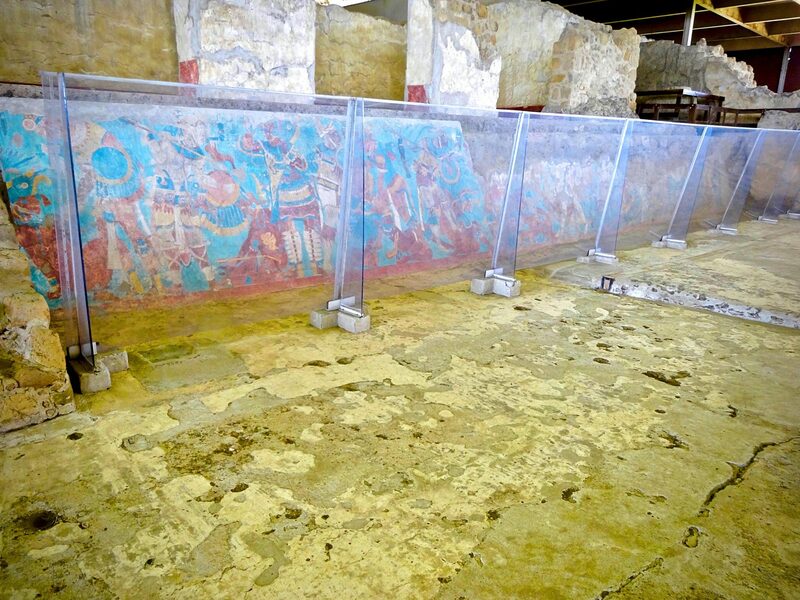 Emese, at Wanderer Writes, introduced us to what you could call ancient street art in Cacaxtla – Ancient Murals in Mesoamerica. The most amazing thing, to us, is how well preserved they are! Take a look; you’ll be amazed. We’ve often said there are some places that everyone should see in America, and The World is a Book took the family to one of the biggest – literally! They shared Tips for Visiting Mount Rushmore with Kids – but again, we think the tips and info are perfect for anyone visiting! If you’re thinking of going, be sure to Pin this post!